Crossroads gun shows for 2018 will go on as scheduled, September 29-30 and December 8-9. The Board of Directors voted 8 to 1 not to issue contracts to Crossroads gun shows for next year, 2019. The claim is that they want to study “all the issues”, so they are putting our contracts on hold for an entire year. We are considering all of our options, and are in the process of making decisions on our plan of action. Please check back on our website for updates. We appreciate your continuing support. 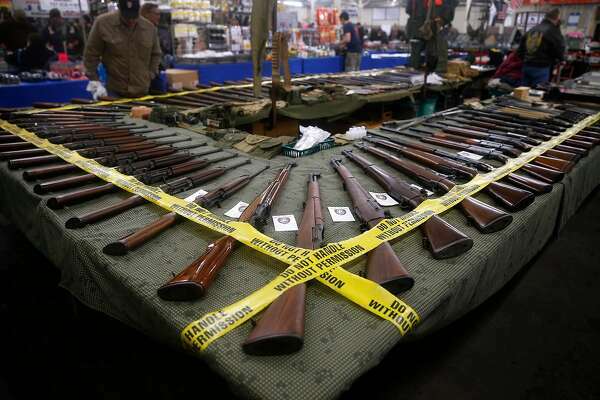 We will fight the opposition and do what we can to restore our gun shows to the Del Mar Fairgrounds. We are expecting that the “Gunfight”, initiated by those who would deny our rights to those of us who own and use firearms lawfully , will have a positive outcome, and that the Constitution will triumph over all the irrational arguments of the opponents of your First Amendment right to assemble and your Second Amendment right to own and use firearms.